Over the last seven months of writing this column, I’ve learned that pulmonary fibrosis patients are brave, kind and supportive to one another. This is also true of their caregivers. I love watching our community develop as we share common fears, problems and ways to live with this difficult disease. I’m going to brag about my PF Peeps and caregivers now. I am overwhelmed by the courage I see in PF patients. In the blink of an eye, our lives changed when we received the diagnosis. We dug deep to handle the new reality, and all that goes with it. In addition, many patients are handling diseases besides PF. They include scleroderma, COPD, LCH, lung cancer and pulmonary hypertension. We are brave when we realize that without a cure our lives will end much sooner than we expected. We are brave when we have to adjust to huge life changes in our work, home and social lives. We are brave when we have to learn through the school of hard knocks about oxygen, medications, doctors, disability, insurance and treatment options. We are brave when we have to go through multiple tests to diagnose and determine the progression of our disease. Some of these tests include pulmonary function test, CT scan, blood work, bronchoscopy, and lung biopsies. I’m sure I’ve forgotten some. 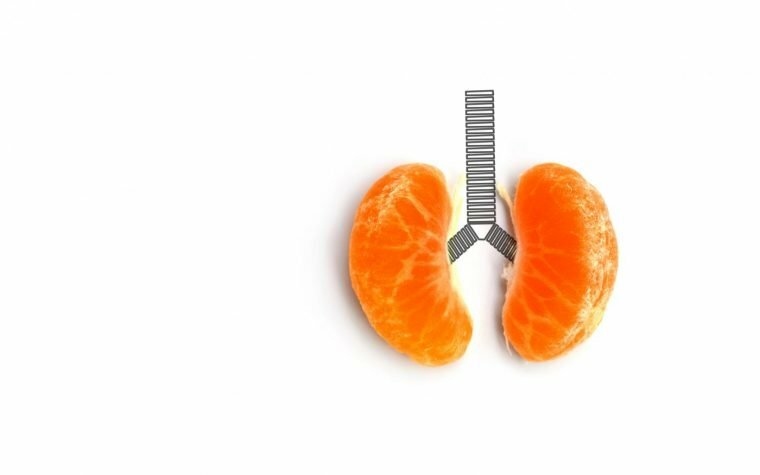 We are brave when we try to get on the lung transplant list, and all that goes with it. We are brave when we endure the many side effects of varying medications, including Cellcept, ofev, esbriet, and prednisone, and the clinical trials. We are brave when we adjust to the financial hardships of having pulmonary fibrosis. The loss of income and medical costs are enormous, requiring us to adjust in significant ways. We are brave when we allow ourselves to feel all the emotions that come with the reality of this disease: grief, depression, anger, fear, hopelessness, and acceptance. Caregivers are brave when they face being by our side as our disease progresses, and eventually life without us. We are brave when we decide to live the life we have left to the fullest and not give up. 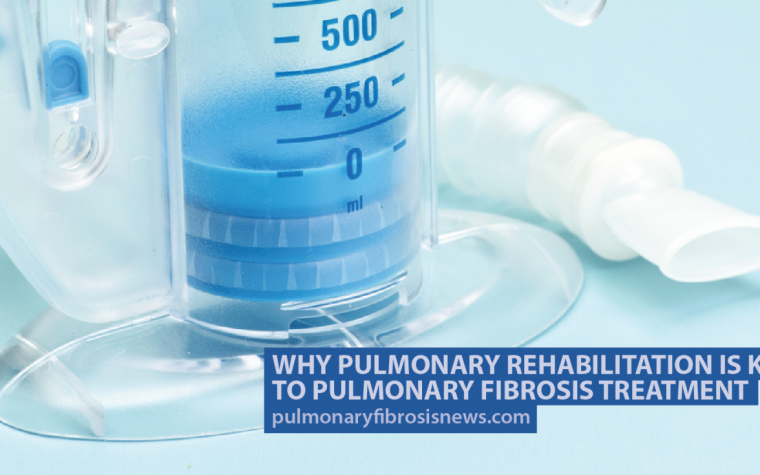 I’ve seen so many people with pulmonary fibrosis displaying kindness to one another through the comments on this column as well as on our Pulmonary Fibrosis New Facebook Page in online support groups. It amazes me to see patients who are struggling use precious time and energy to reach out to others who have questions, fears, and feel overwhelmed. My column last week attracted over 90 comments from people who responded with encouragement to my account of how hard it is to deal with supplemental oxygen each day. Thank you so much for being kind and supportive. We are kind and supportive when we answer fellow patients’ questions about treatment, symptoms, oxygen, medication and a whole lot more. We are kind and supportive when we encourage one another to not give up. We are kind and supportive when we share ways we’ve learned to cope and keep going. We are kind and supportive when we decide to take care of end-of-life details to help our loved ones after we are gone. We are kind and supportive when we share the hope and comfort we receive from our faith. We are kind and supportive when we offer an empathetic heart and a listening ear to the frustrations, fears and struggles of others. Caregivers are kind and supportive when they ask what they can do to help and encourage loved ones with pulmonary fibrosis. Caregivers who help us are kind and supportive as they adjust to their new life, and do whatever they can for us. We are so grateful to them. Former patients who received lung transplants are kind and supportive when they share their experience, and give us hope we may receive a transplant some day. PF patients and caregivers are amazing, really. It’s a joy to watch our community develop and grow closer as we walk alongside one another on this difficult journey. We need one another, and I would love for all of you to be part of our group. It would be great to hear from you in the comments below. I love the way we can all connect and learn from one another. What was it like to hear how wonderful you are? What examples of bravery, kindness and support did I leave out? Please share this post with anyone you feel could benefit, or on social media. We’re in this together. Some of you may have read my column two months ago about a fundraiser I launched to hire an air ambulance so I could fly to our son’s wedding. Because of the generosity of 169 people, and lots of prayers, I raised the funds I needed. I’m leaving Thursday to fly from northern California to Houston for the wedding on Saturday. I’m so excited and blessed. I’ll tell you all about it next week. Tagged Get Support, Idiopathic pulmonary fibrosis (IPF), interstitial lung disease, living with IPF, Lung Diseases, PF community support, social support. Have a wonderful time at your son’s wedding! Congratulations to all involved. Thank you so much Sherry! I can’t wait, and am so grateful to all who are celebrating with me, praying for me and gave to my fundraiser. I will be sharing pics in my column next week. Thanks so much for taking the time to encourage me! It was heart lifting to read this. It gave me new strength to face this disease. I was diagnosed seven years ago and with the help of my wife I was able to face this head on. Unfortunately I lost my wife to cancer 8 months ago and was left to face this alone. I know I can do it. I know there are a lot of people doing it so it always help reading about brave people going on and facing this. Thank you for the article. Thanks for your encouragement Jack. I’m so very sorry to hear of your wife’s passing. This disease is a lot to face alone. I’m glad that our supportive community helps a little. So glad you shared. Thank you for being the voice of our IPF/PF warriors. I lost my son, Jonathan Hamada, to IPF last July 29, 2011. It happened so fast. Twenty-four days after he learned he has IPF, he left us so suddenly. No one knew what IPF is. Jonathan never heard about it too, so he surfed the internet to know more about his illness. There was no support system in our country (Philippines). He was left helpless. That made it harder for him. So I am an advocate in spreading awareness of Idiopathic Pulmonary Fibrosis. Through the Foundation of my son (Jonathan Ian Blanco Hamada Foundation), we have also helped a few who have asked for financial support and advice. Let us work together to fight this cruel disease. Be blessed. Hi Irene, thanks so much for sharing with us. I’m so sorry you lost your son to PF, what a shock. What an inspiration you are to use your experience to help others. You are right, we all need one another.